Following last year’s unprecedented audience turnout, leading to Rs. 1.27 Mlnbeing raised for children’s causes, the iconic Country Roads concert will once again smash through another huge milestone in 2018 when it holds its 30th anniversary show on Saturday, October 20 at the historic Mount Lavinia Hotel. Scheduled for Saturday, October 20, from 6.30 p.m. onward, the 2018 show will be headlined by the Mavericks from Germany as well as UK’s Astrid Brook. This year, the Mavericks will comprise a five-piece band including a fiddler to enhance their country sound. Local favorites Cosmic Rays, Anno Domini and the Country Revival Band with Feizal and Jury will be joining them on stage. Another key element of this year’s show will be the release of a special edition 30th anniversary Country Roads Music CD, which comprises20 songs from musicians based in six countries including Germany, China, UK and USA. With a limited run of only 300 copies produced, this CD will not be sold but rather will be gifted to anyone who donates in excess of Rs. 1,000 to Country Road for this year’s charities. “The 30th anniversary concert is very special to us and is reflective of the many years gone. We are thankful to note that we have reached a countless number of needy children and helped them on this journey of ours. 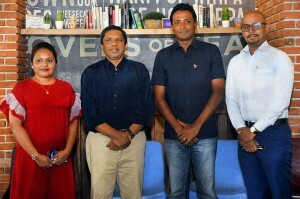 Thanks also to the large number of very talented musicians who have contributed to this gigantic, 30 year effort,” said FeizalSamath, the President of the Country Music Foundation, the organizer of the Country Roads concert series for children. Main Sponsor Dialog, as well as Dilmah, Cargills, HNB, LOLC, CPR, Firefly and Host Hotel Mount Lavinia Hotel are supporting the 30th anniversary concert. An entirely charitable undertaking, staffed fully by volunteers, the Country Roads concert series or children always has, and continues to, donate100% of its proceeds to children’s charities in Sri Lanka. Over the past 30 years, this has resulted in several million rupees in funding, all of which has directly aided only the most pressing causes that help children, a common practice since the concert’s first performers took the stage in 1988. In 2015, the concert contributed to Meth Mihira, a Special Education school in Koralawella, Moratuwa run by the Sisters’ Of Charity, as well as the Children’s Heart Project of Sri Lanka, which supports the Lady Ridgeway Children’s Hospital. Also, musical equipment was provided to the Kudaligama Central College in Kalutara. Previously, the concert gifted Rs. 500,000 to Save the Children Sri Lanka, to support its mother-and-child program for local plantations in 2014. The same year, another Rs. 100,000 was given to the Oxonian Heart Foundation, to help treat impoverished and destitute children suffering from heart disease, while a further Rs. 100,000 was contributed over to a poor family caring for a special needs child. To mark its landmark 25th anniversary in 2013, a million rupees was donated to aid in a special UNICEF project.